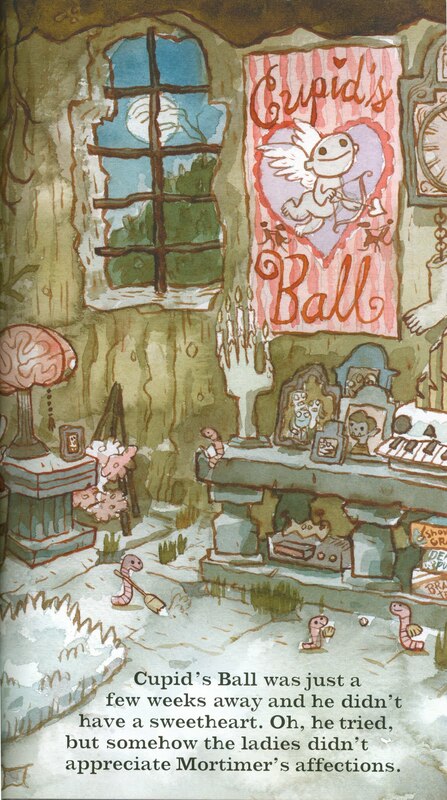 Zombie in Love is a cute, humorous story about how there is someone for everyone. 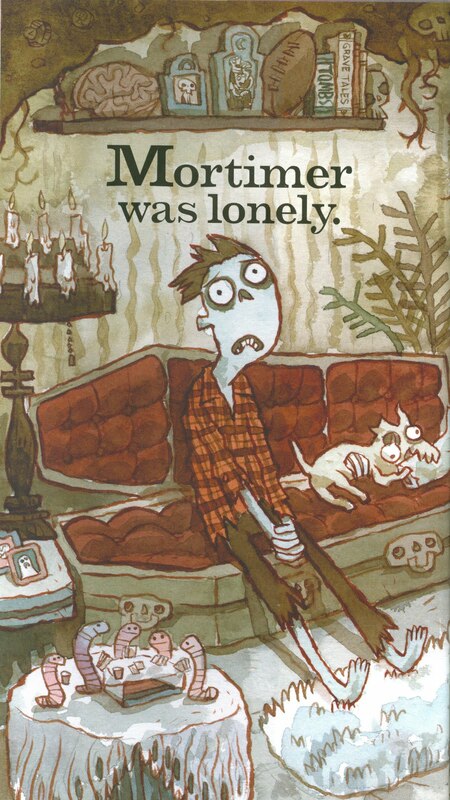 The reading level is very easy, skewing more towards the four-year-old’s reading ability than the eight-year-old’s; but the artwork and universal appeal (who hasn’t felt like Mortimer in his loneliness at one point in their lives?) makes this a great novelty book for teens and adults as well. The words in and of themselves create the framework for the art of Scott Campbell. His watercolors wash over the pages in gentle tones, in contrast to the black ink renderings one might expect in a zombie tale. The muted tones make this easy on the eyes (and less-scary for small children.) There is nothing graphically explicit, which isn’t to say the illustrations aren’t detailed. It’s the details in each of the paintings that bring out the humor in the story, contrasting with the text by offsetting the sentences as understatements. Neutral background washes and a balance of cool and warm figures in the foreground are compositionally well balanced and offset each other to create darkish but palatable pictures. 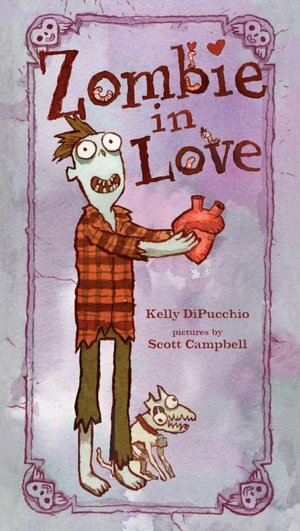 Other Stuff: I purchased Zombie in Love (by Kelly DiPucchio; illustrated by Scott Campbell) from Barnes & Noble in Medford, OR. I receive no monies, goods or services in exchange for reviewing the product and/or mentioning any of the persons or companies that are or may be implied in this post.